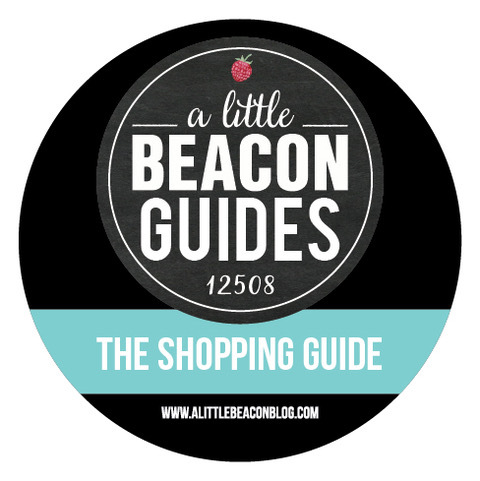 A Little Beacon Blog is excited to welcome back Barb’s Butchery as a Restaurant Guide Sponsor! We met Barb when she opened Beacon’s first butcher shop in December 2014 and has since become a staple in the city. The shop butchers grass-finished beef, lamb, pork and poultry, all raised in the Hudson Valley. 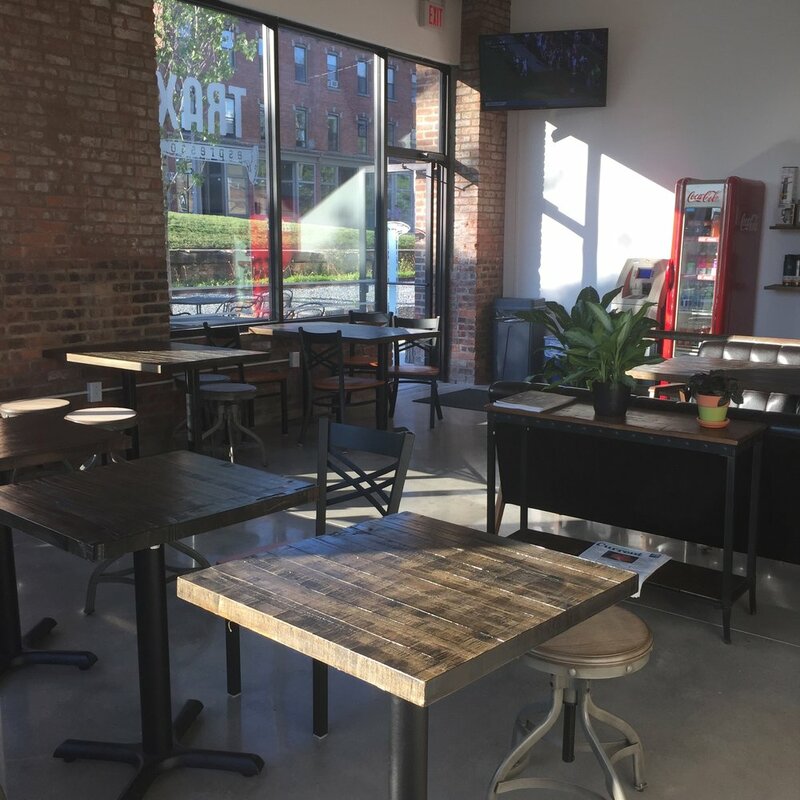 Barb’s Butchery, located at 69 Spring St in Beacon, is open daily from 11 am to 6 pm. 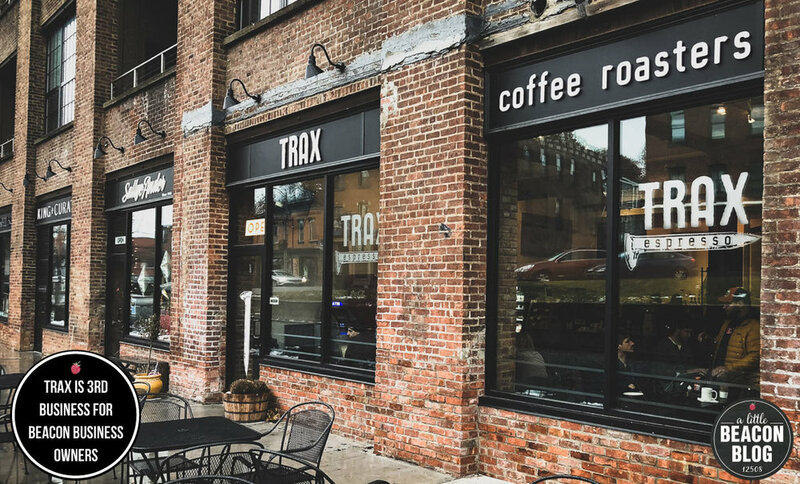 The grill is on during those hours so walk-ins are welcome for enjoying a tasty meal in-shop such as burgers, sandwiches (including brisket, and corned beef), tacos and so much more. You can see Barb’s full eat-in menu here. If you plan to visit, you can call in your order for faster service. Not only can you get your stock of fresh, local, grass-fed meats, you can order fun treats for your party such as Meatballs topped with Mashed Potatoes , a Meat Party Cake, and Meaty Muffins…. yes, you just read all of that correctly. This is a meat-lovers dream! Check out her monthly specials! Their front door is a stop on the Beacon Free Loop Bus route, so there’s no excuse to not pay a visit. Because this is legit and you need one in your life: The new ice cream sandwich at Zora Dora, on the west end of town, is made with their own vanilla bean ice cream, which is also intensely, perfectly, creamily good. The whole thing also happens to be gluten-free. Next time you’re in, ask the owner to pint that ice cream so that we can take it home. If Hudson Valley Brewery has “can releases,” maybe Zora Dora can have “pint releases”? 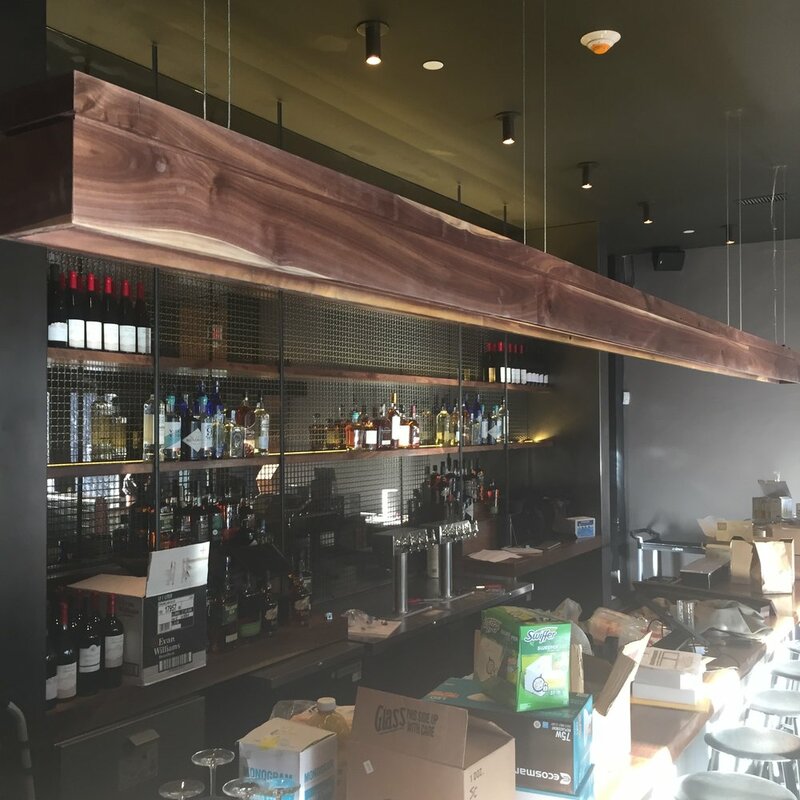 Find this and more in A Little Beacon Blog’s Restaurant Guide. And check the Shopping Guide while you’re here because you’ll need a cool snack like this to help fuel your trip down Main Street! This just in over the wires... The Hudson River Sloop Clearwater has announced a delicious event happening at The Culinary Institute of America in September. The Hudson River Sloop Clearwater will be hosting Chefs for Clearwater, featuring six celebrated Hudson Valley chefs in September. The event sets out to raise awareness of sustainable food production and watershed protection. This second annual Chefs for Clearwater culinary event will happen on Sunday, September 17, 2017, at 4 pm at The Culinary Institute of America (CIA) in Hyde Park, NY. Chefs for Clearwater is a partnership of leading Hudson Valley chefs, the CIA, and Clearwater, aimed at spreading awareness of critical issues involving sustainability and food ethics, and how they relate to the Hudson Valley watershed. The event is a fundraiser to support Clearwater’s environmental education and advocacy programs on the Hudson River. Chefs for Clearwater’s featured chefs, restaurateurs, farmers, ranchers, vintners and cider makers have been invited to participate because of their demonstrated commitment to practicing and advancing sustainable agriculture and socially responsible business practices. The health of the Hudson River watershed directly impacts the health of the ground soil—and the reverse is just as true. Chefs for Clearwater is a celebration of the great progress made on both fronts in recent years. The master of ceremonies will be Grammy-winning singer/songwriter Tom Chapin. The New York Times called Chapin “one of the great personalities in contemporary folk music.” Tom Chapin has covered an incredible amount of creative ground. In addition to his work as a recording artist and concert performer, Chapin has acted on Broadway, and has also worked extensively in films, television and radio. Guest speaker Peter Kaminsky is the author of Pig Perfect, The Elements of Taste, Seven Fires: Grilling The Argentine Way and Culinary Intelligence. 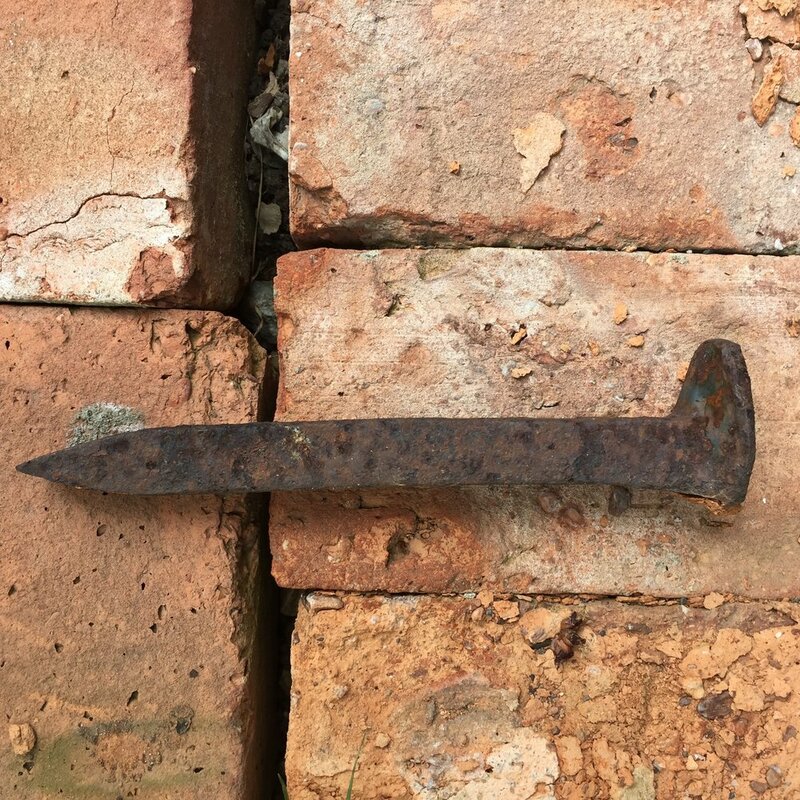 His work has been featured in The Underground Gourmet, New York magazine's Outdoors column and The New York Times. The Chefs for Clearwater benefit dinner will feature live bluegrass music by Two Dollar Goat, signature hors d’oeuvres, charcuterie and a six-course farm-to-table menu created by Chef Sara Lukasiewicz of The Amsterdam in Rhinebeck, NY; Chef John McCarthy of The Crimson Sparrow in Hudson, NY; Chef Jay Lippin of Crabtree’s Kittle House in Mt. Kisco, NY; Chef Michael Kaphan of Purdy’s Farmer & The Fish in North Salem and Tarrytown, NY; Chef Waldy Malouf of The Bocuse Restaurant at the Culinary Institute of America in Hyde Park, NY; and Chef Kristina DePalma of The Roundhouse by Terrance Brennan in Beacon, NY. Tickets and sponsorship packages are available at www.chefsforclearwater.org. The Hudson River Sloop Clearwater was launched in 1969 by legendary folk singer and activist Pete Seeger, and ever since, the organization has been at the forefront of the environmental movement as champions of the Hudson River. To date, more than half a million people have experienced their first real look at an estuary’s ecosystem aboard the sloop Clearwater. Clearwater has become the grassroots model for producing positive changes to protect our planet. 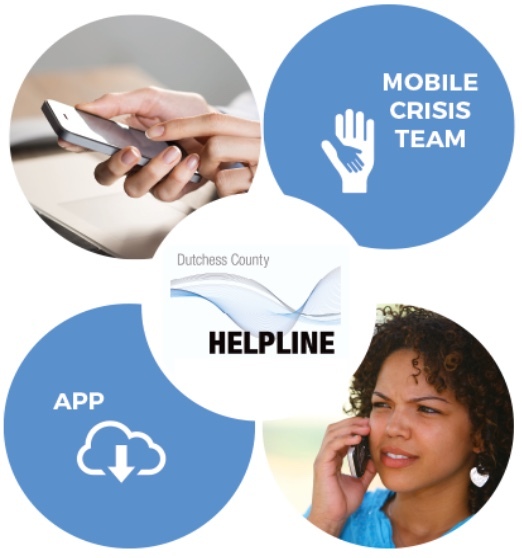 For more information, visit www.clearwater.org. Founded in 1946, the Culinary Institute of America is the world’s premier culinary college. Dedicated to developing leaders in foodservice and hospitality, the independent, not-for-profit CIA offers bachelor’s degree majors in food business management, hospitality management, culinary science, and applied food studies; associate degrees in culinary arts and baking and pastry arts; and executive education through its Food Business School. The college also offers certificate programs and courses for professionals and enthusiasts. Its conferences and consulting services have made the CIA the think tank of the food industry, and its worldwide network of 49,000 alumni includes innovators in every area of the food business. The CIA has locations in New York, California, Texas, and Singapore. For more information, visit www.ciachef.edu. 3rd Annual Sausage Fest Returns to Barb's Butchery! Barb's Butchery first burst onto the scene with an Annual Sausage Fest to rave reviews and high attendance by people who wanted to try Barb's wild and creative flavors. Now in its third year, Sausage Fest returns to 69 Spring Street on Sunday, February 26th from 10 am to 6 pm. You'll be able to try (and take home!) 40 different flavors of sausage. Yeah, that's right... 40 different flavors of sausage. If you don't know where to even begin to concoct that many recipes, Barb is way ahead of you, with her tongue-in-cheek style. She starts with a classic recipe and builds layers of flavor to complement the taste and texture of her locally farmed pork, chicken or lamb in surprising ways. Example 1: Take the new 11 herbs and spices chicken sausage, with a seasoning blend that packs a bucketful of fried chicken flavor. Example 2: Skip the sports bar and go straight for Barb's incredible buffalo wing sausage, with melt-in-your-mouth buffalo sauce spices and blue cheese in a chicken sausage. "It’s everything you love, without the celery!" say insiders at Barb's Butchery. Example 3: For something more sophisticated, try the fragrant herbs and cayenne kick of her North African mint sausage. Example 4: Keep it classic with the Cordon Bleu blend of house-made ham, Swiss cheese and Dijon mustard in a chicken sausage. Sausage Fest is a not-to-be-missed event, so make room in your fridges and freezers! If you want to know the butchery's back story before visiting, read our interview with Barb here. Editorial Note: Barb's Butchery is an advertiser in A Little Beacon Blog's Restaurant Guide, but this article is not a sponsored post. It's pure editorial because it's just that good. 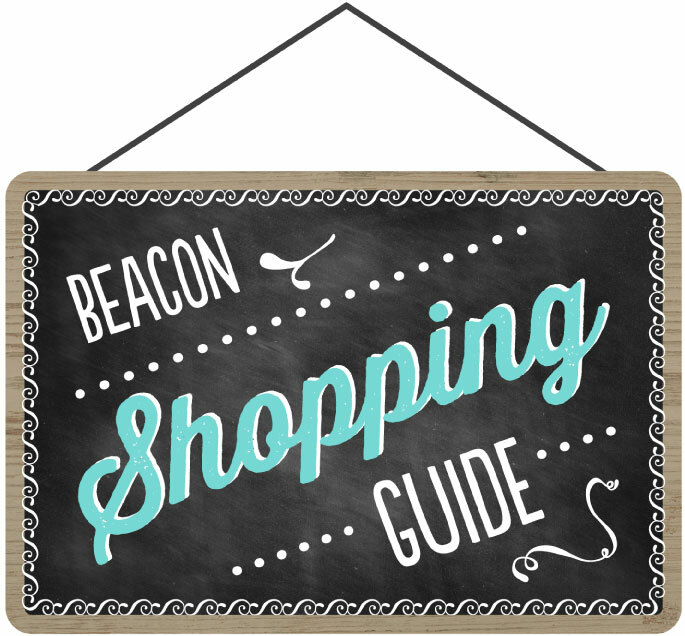 It's Second Saturday in Beacon! Your full guide for the day/night is here! Snow or Shine, get out there this weekend! 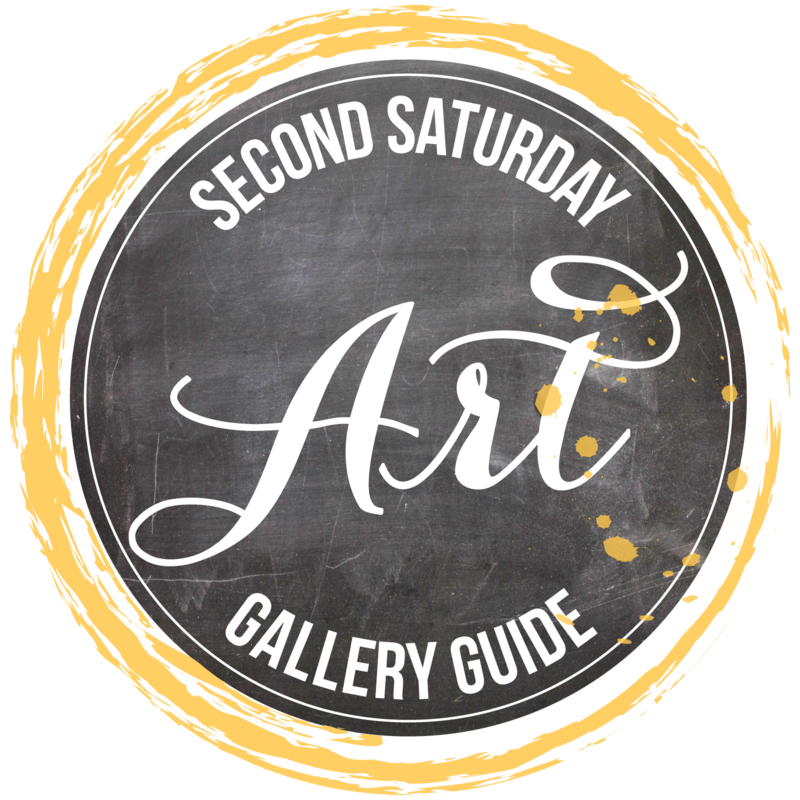 It's Second Saturday, and we have a head start on what to expect at the galleries. 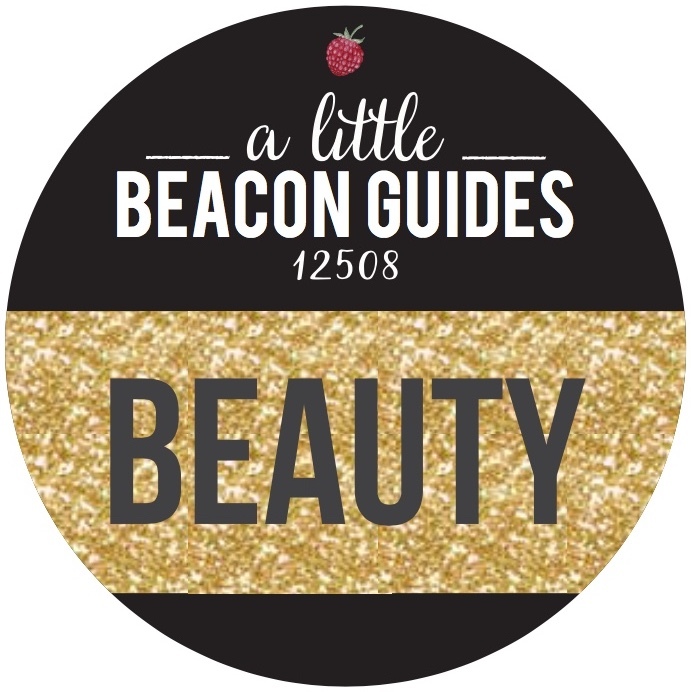 These are weekend dates pulled from some of A Little Beacon Blog's 10 Things To Do In Beacon Guides, so be sure to check them during the week. There is more parking than you think! Especially the large free lots on the East End of town, near the mountain. We've got pictures. 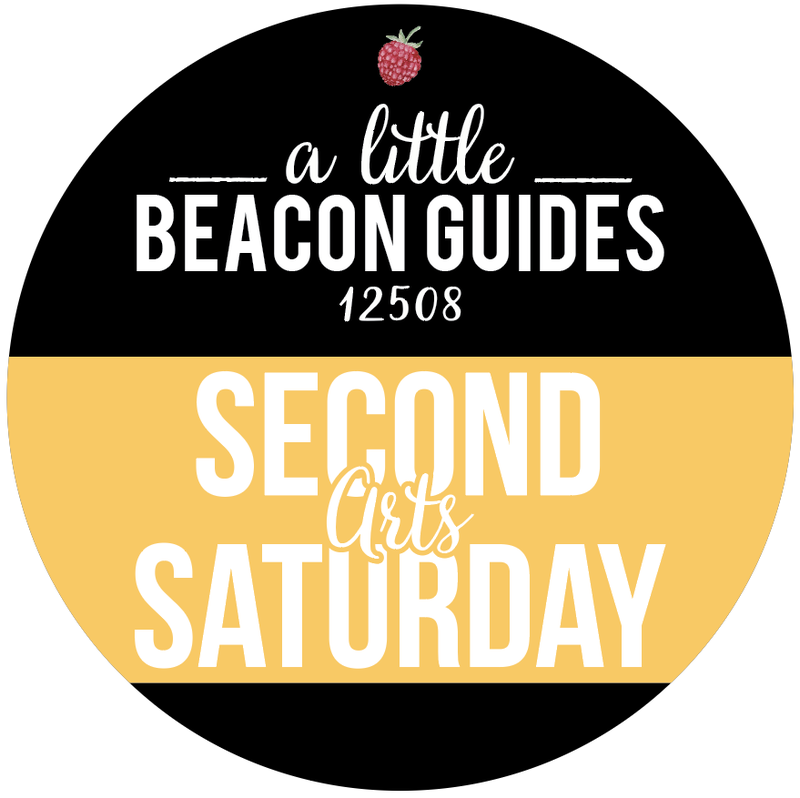 Your full Second Saturday Art Gallery Guide for Beacon. Always available at www.alittlebeaconblog.com/second-saturday, with past months archived. The Upcoming Events Guide is proudly sponsored by King Family Chiropractic, located in Beacon and ready to serve you. 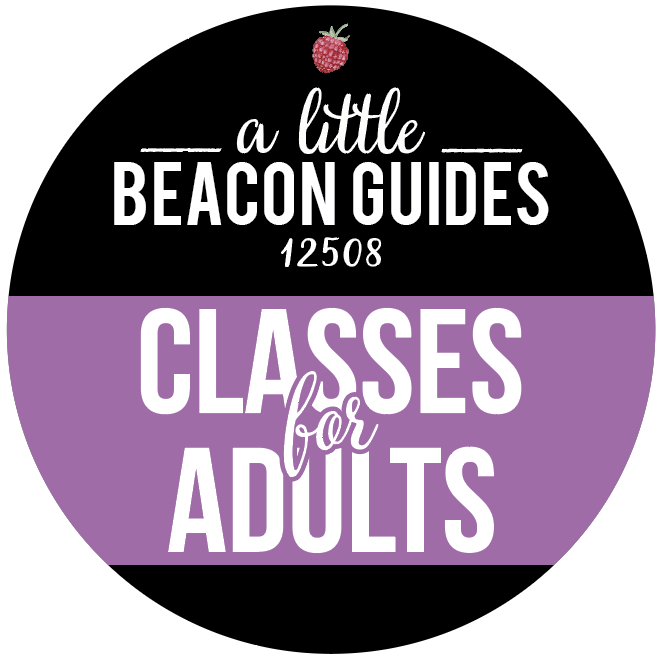 Visit our Upcoming Events Guide to see more upcoming classes. 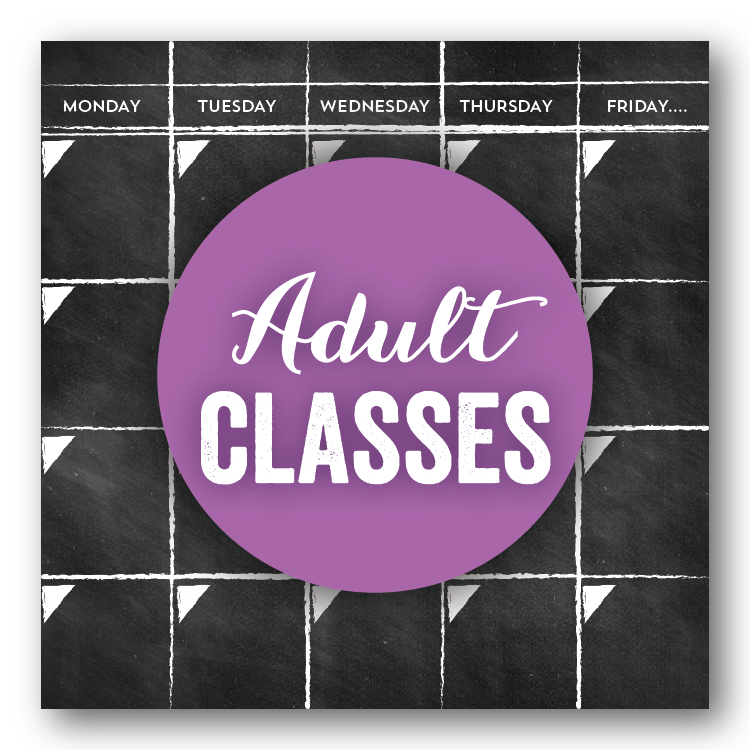 Visit our Adult Classes Guide to see more upcoming classes. 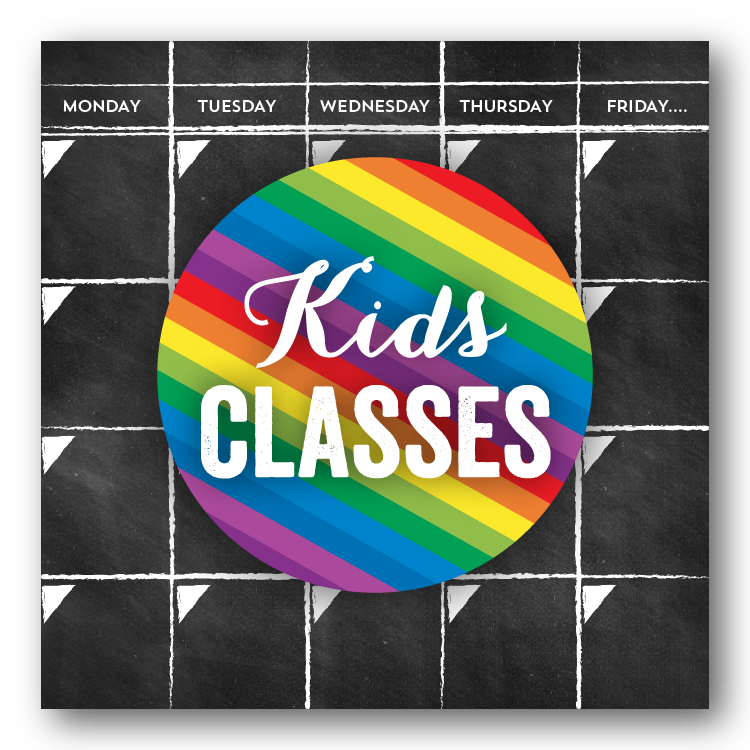 Visit our Kids Classes Guide to see more upcoming classes. Looking for the perfect gift? Consider one for the home. Then everyone gets to use it and it's money well spent. 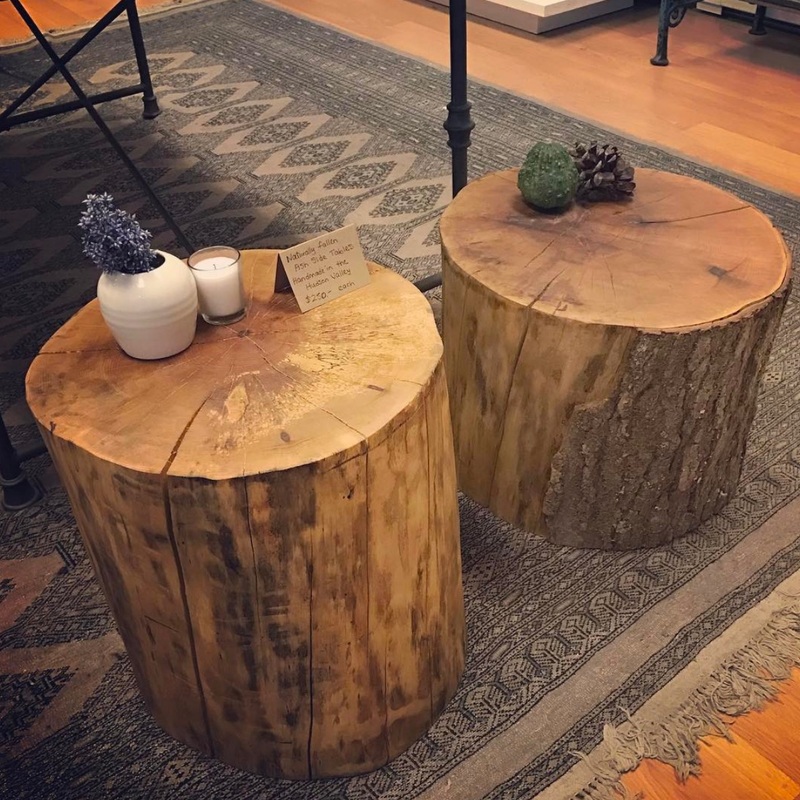 These tables made from naturally fallen ash trees are just a few pieces of furniture you can find in reMADE. But don't wait if there's a piece that you love. The secret is out on reMADE, and the artisans represented inside are constantly bringing in new designs to replace what has sold. So get in there! 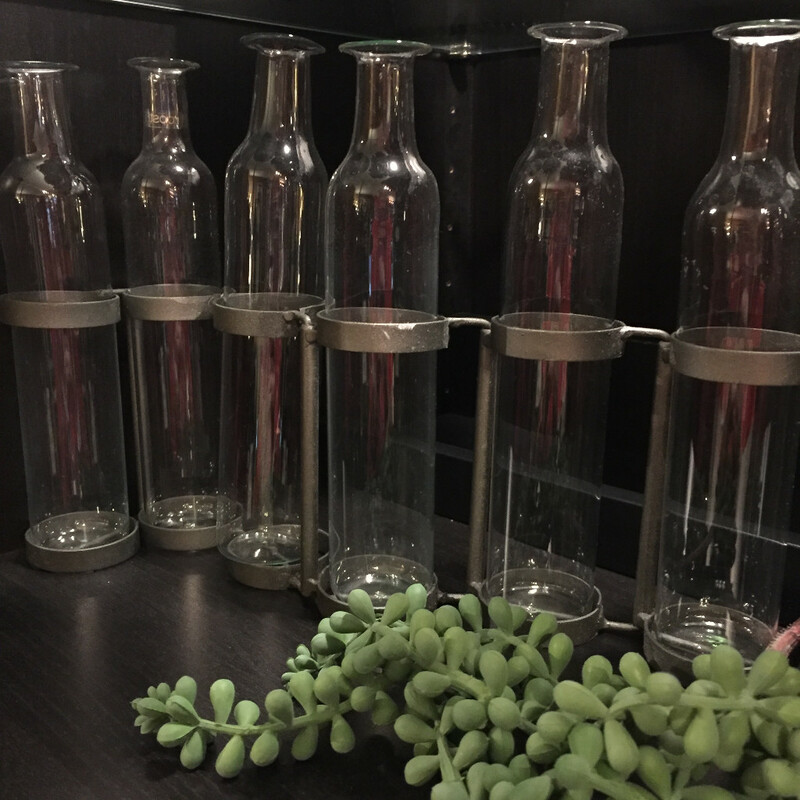 For the plant lover or bottle collector in your life, Bellus on Main has this shelf decor that is a perfect gift - or treat yourself! These two! 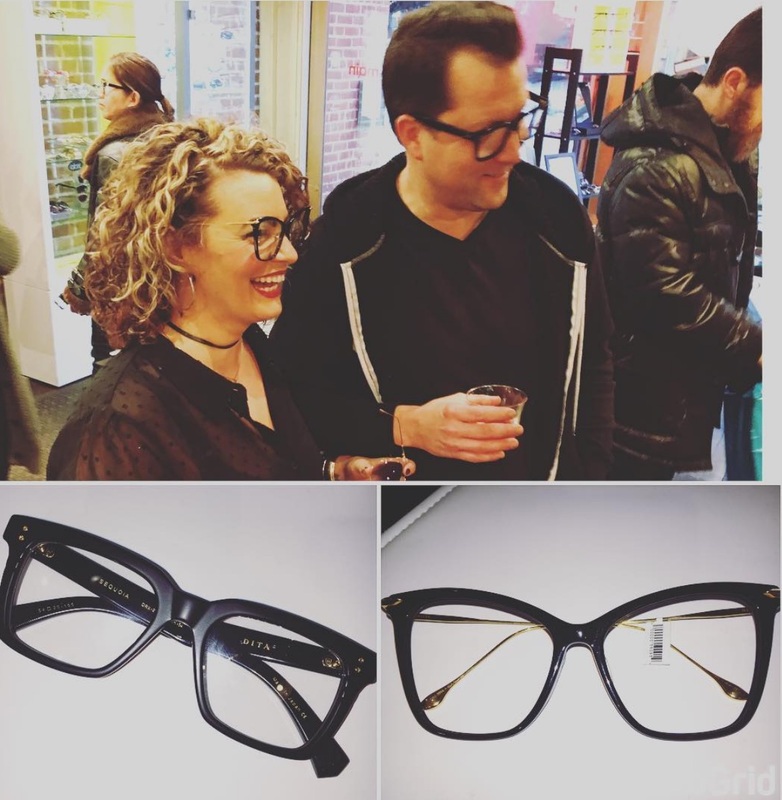 Karen and Josh, hairdressers at The Green Room, paid a visit to Luxe Optique to update their glasses (both are famous for their statement eyewear). If one could CTRL-B to Bold their basic black frames, that is what Josh did while Luxe offered bubbly to shoppers early one evening. 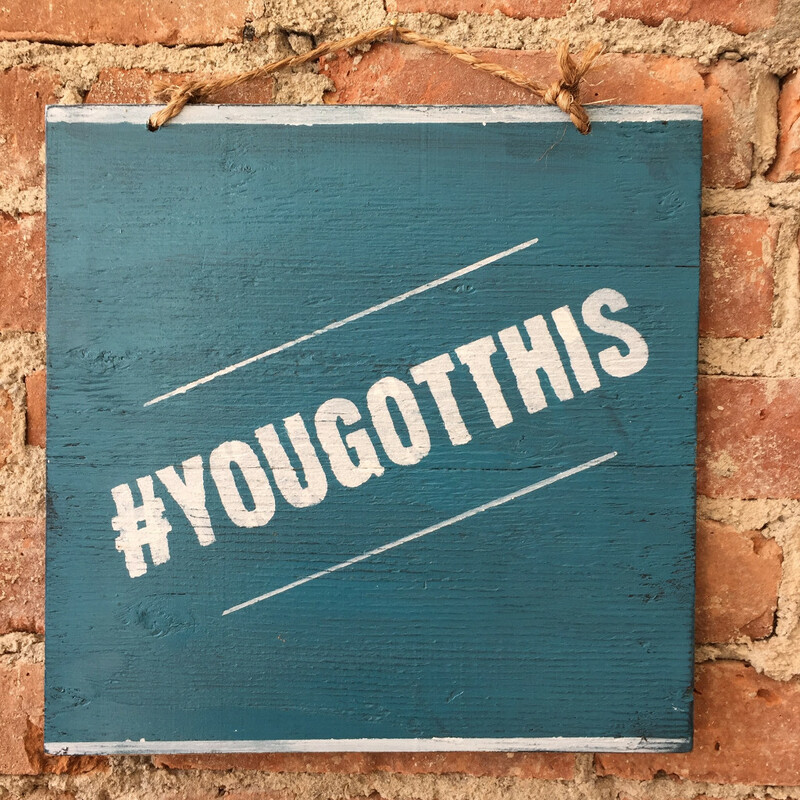 Sending Style Storehouse encouraging vibes via this locally made wooden sign that is for sale in the shop, after the shop suffered inventory loss from flooding from the upstairs apartments. In true go-getter spirit, Michele is cleaning and aims to be back in action soon! 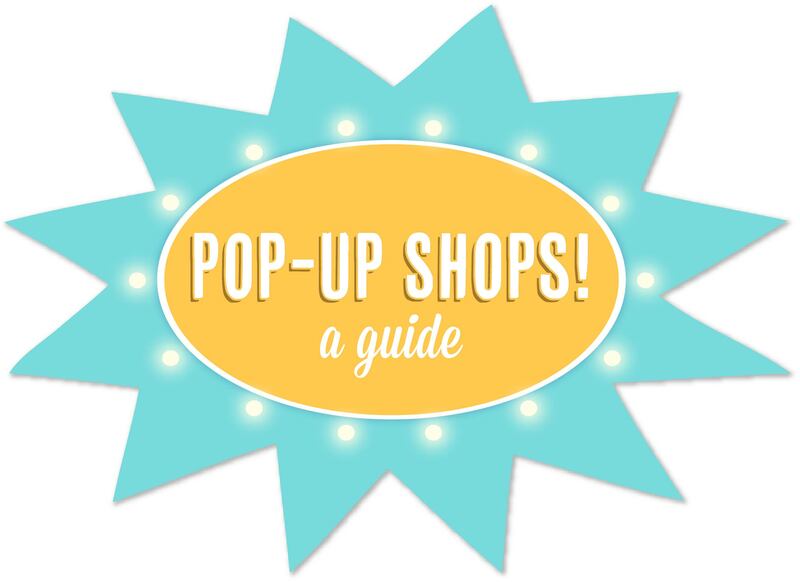 Find phone numbers and addresses for all shops in our Shopping Guide, from Home Decor to Kids Fashion to Vintage and more. Come in for a massage any time in February, and get a Valentine Coupon for a Mystery Bonus! 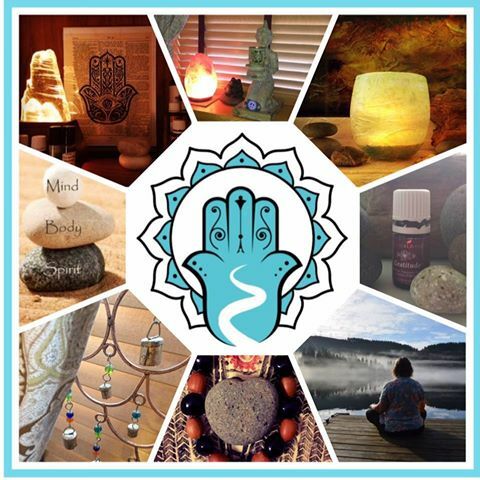 Maybe you'll get extra massage time, an add-on service, or $$ off your visit. Coupons are good for 3 months - use for yourself or give to your favorite Valentine! 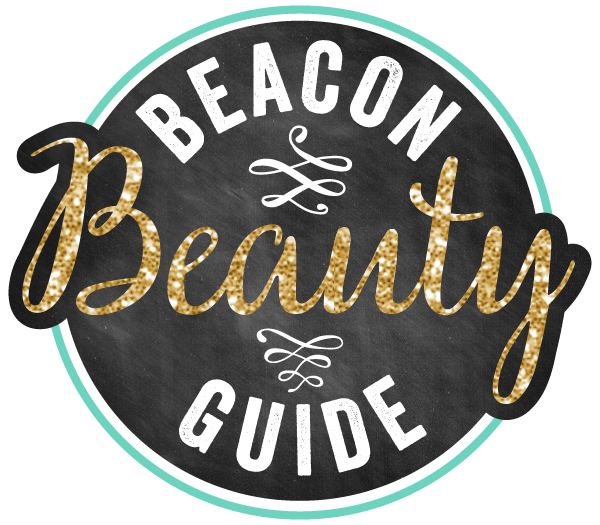 Find phone numbers and addresses for all Beauty locations in our Beauty Guide. 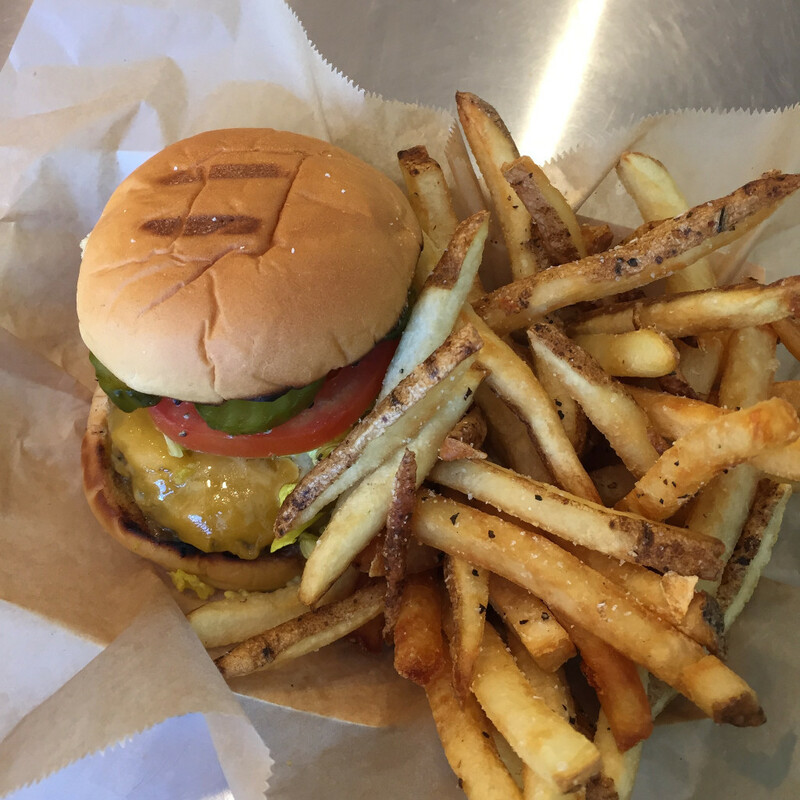 Find this crave-answering cheeseburger at Barb’s Butchery for lunch. While you're there, pick up a few short ribs, ground beef for chili, and two dozen local eggs for the morning. Meat errands and lunch, DONE. 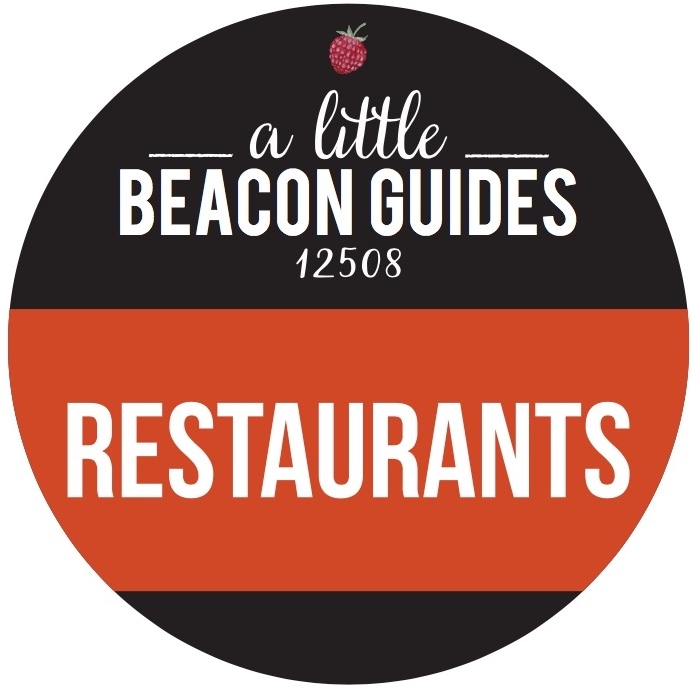 Visit our Restaurant Guide for a complete list of eateries in Beacon. 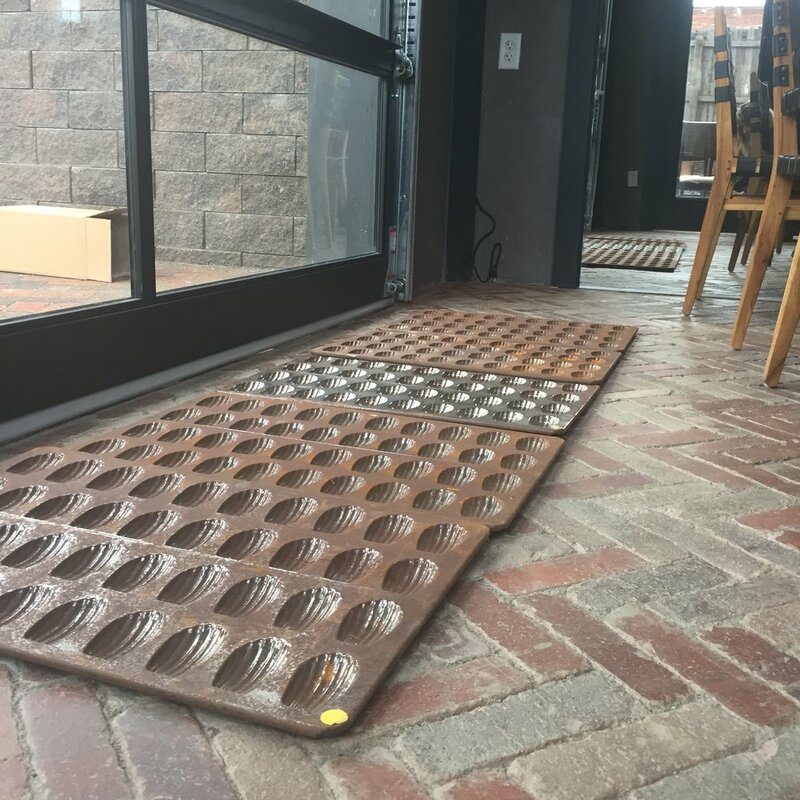 Flooding from residential apartments above storefronts has hit Beacon's Main Street hard, with the most recent loss happening this week. 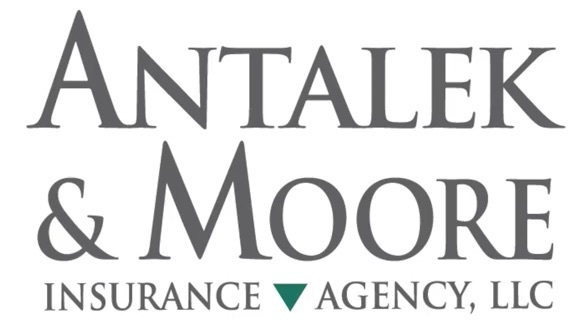 We wrote an awareness piece on such flooding with Antalek & Moore Insurance Agency, which all renters and storefronts should be aware of. 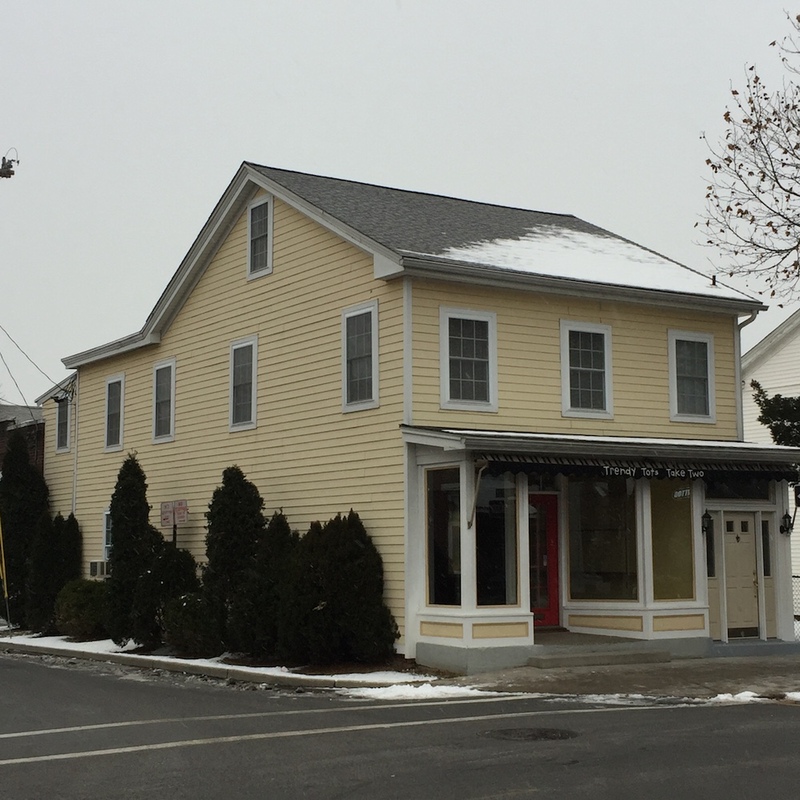 Daniel Aubry closed a major real estate deal on the West End of Main Street, ushering in a new era for several apartments and storefronts. 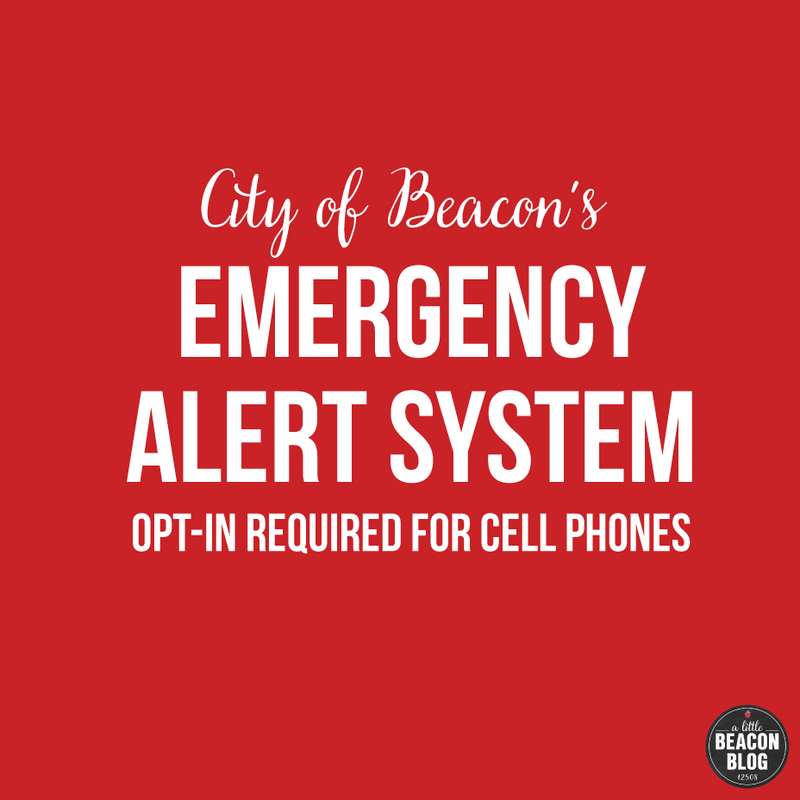 Learn more about it soon at A Little Beacon Blog as we reveal the details. Meanwhile, for you inquisitive types in Beacon real estate, visit www.danielaubryrealty.com for recent listings. 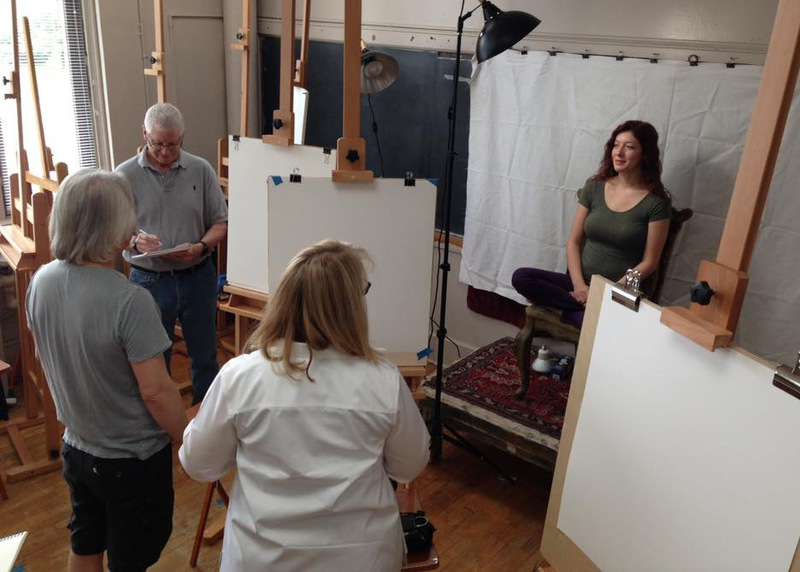 The Atelier Room 205 is a Teaching Studio, an artist's playroom! 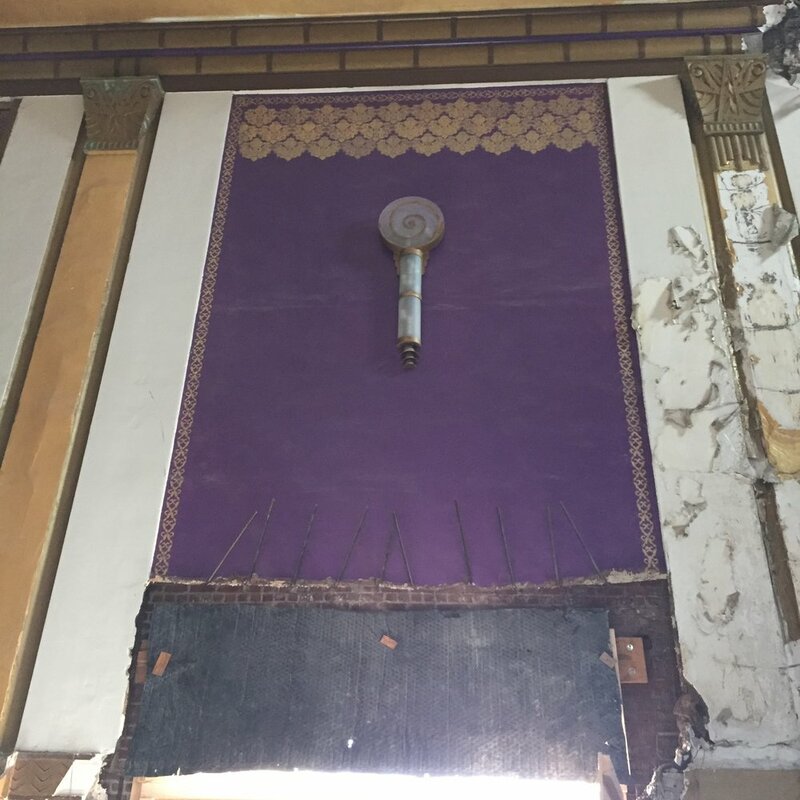 It’s located in the old Beacon High School, which has been converted into artist studios. The Atelier is a well-equipped studio for teaching art workshops and is run by artist Maria Amor. 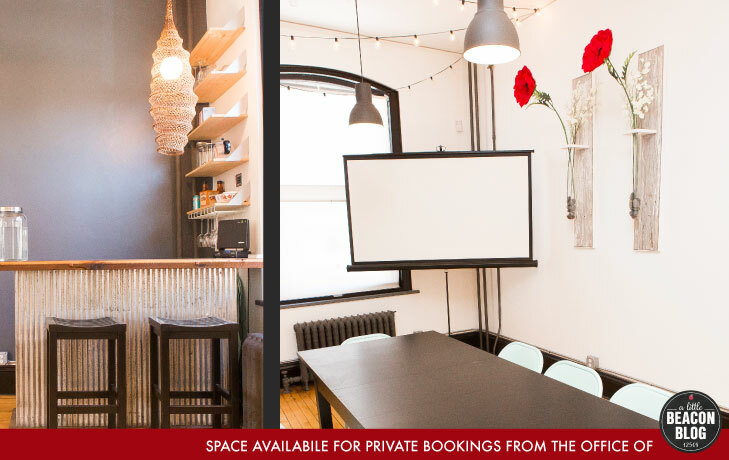 Contact her to book the space to host a workshop by calling (646) 705-3833 or emailing AtelierRoom205@gmail.com, and tell your friends about this rental destination. 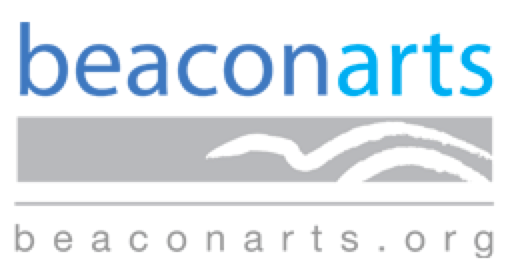 BeaconArts is a fiscal sponsor of Beacon Open Studios, and is letting you know that registration for artists is open now, as are advertiser spots in the printed program! See www.beaconopenstudios.org for details. 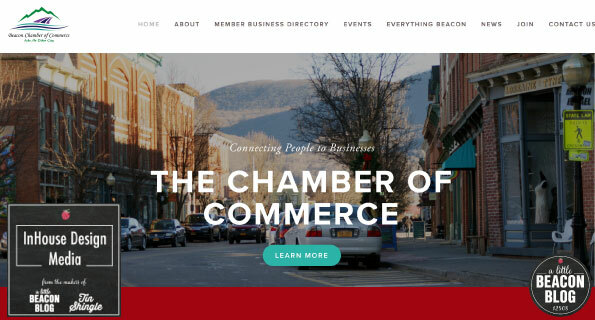 The Beacon Chamber of Commerce has a new website including a new Member Directory. 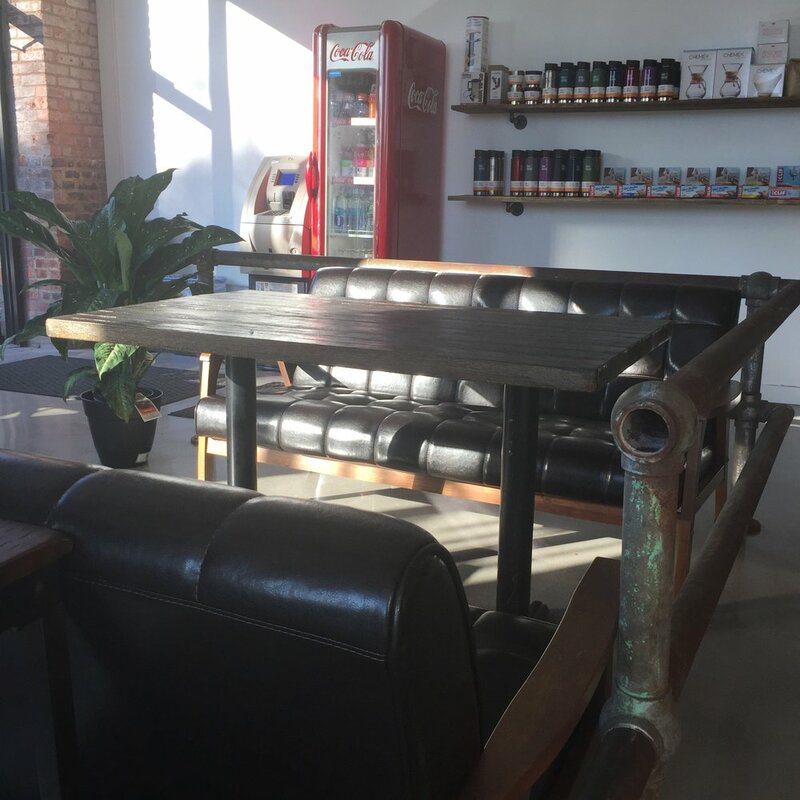 Want to host a Chamber of Commerce meeting in your space? Or speak at a meeting as an expert? You can do that! Visit their website to submit yourself. 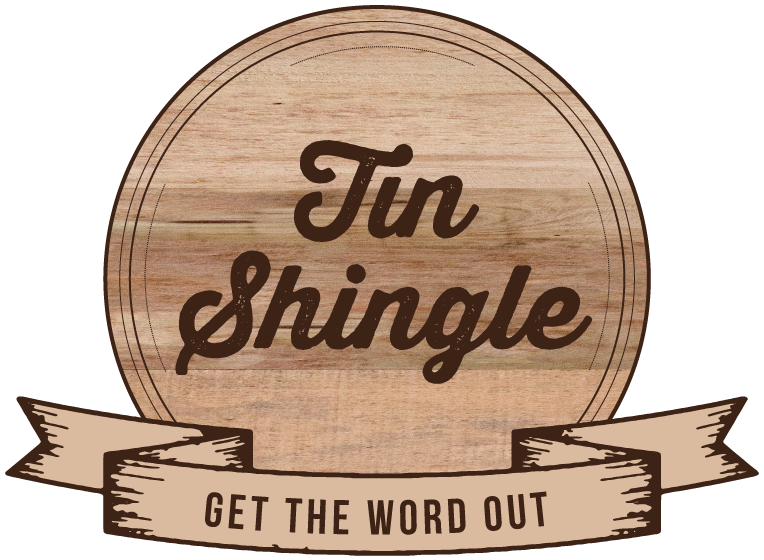 Looking for classes in SEO and Social Media? How about a class and swift kick in the pants for sending out your company's newsletter? 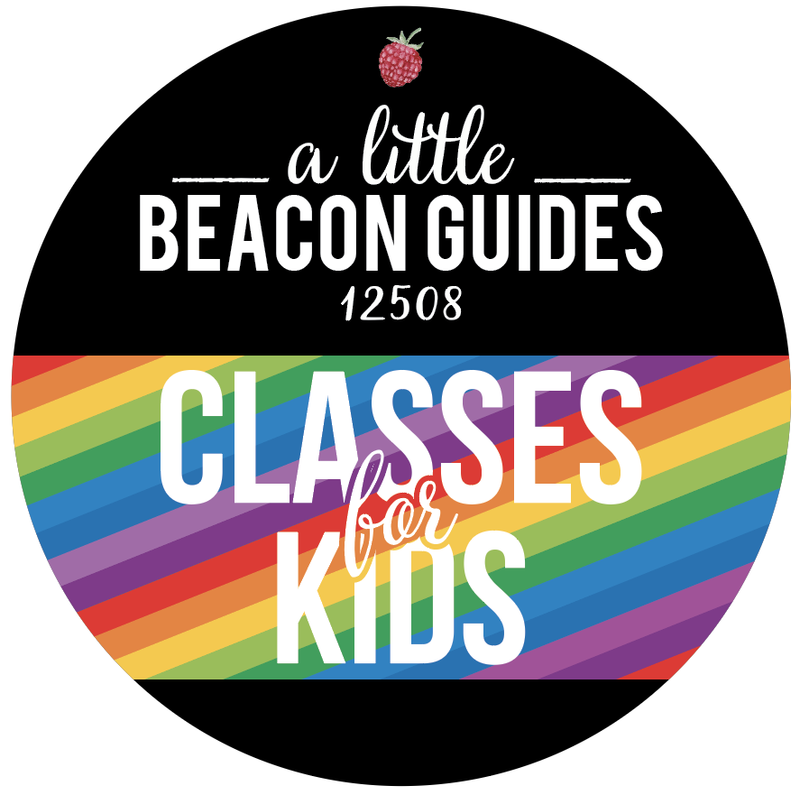 In-person classes are coming to Beacon from Tin Shingle, but in the meantime, you can stream several here. 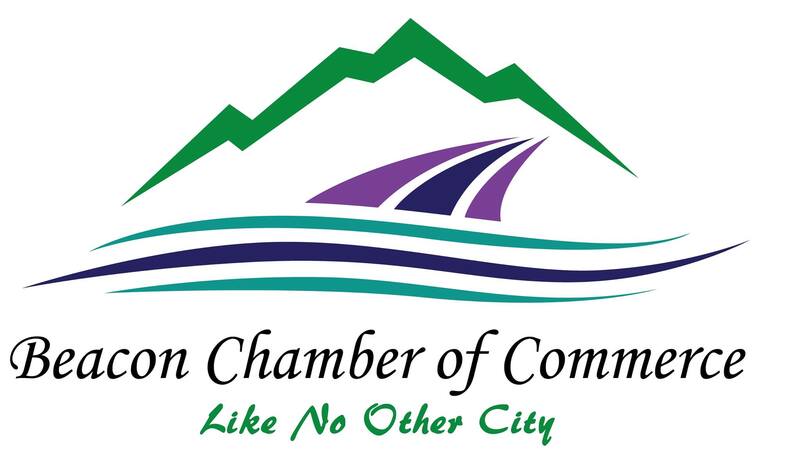 InHouse Design Media is proud to be involved with the redesign of the new Beacon Chamber of Commerce website, as well as breathing new life into their social media presence and setting up new systems for them to follow as a multi-person entity when getting the word out. 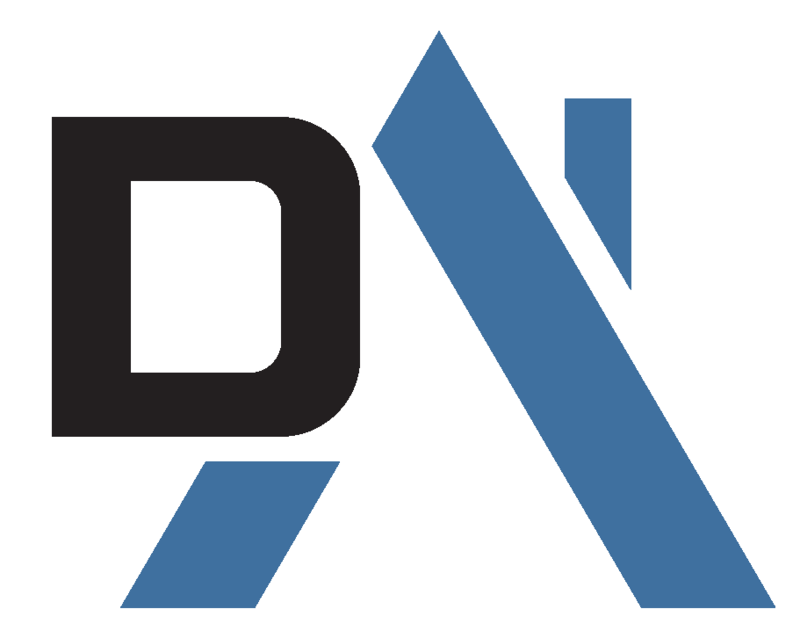 Congratulations on new directions! 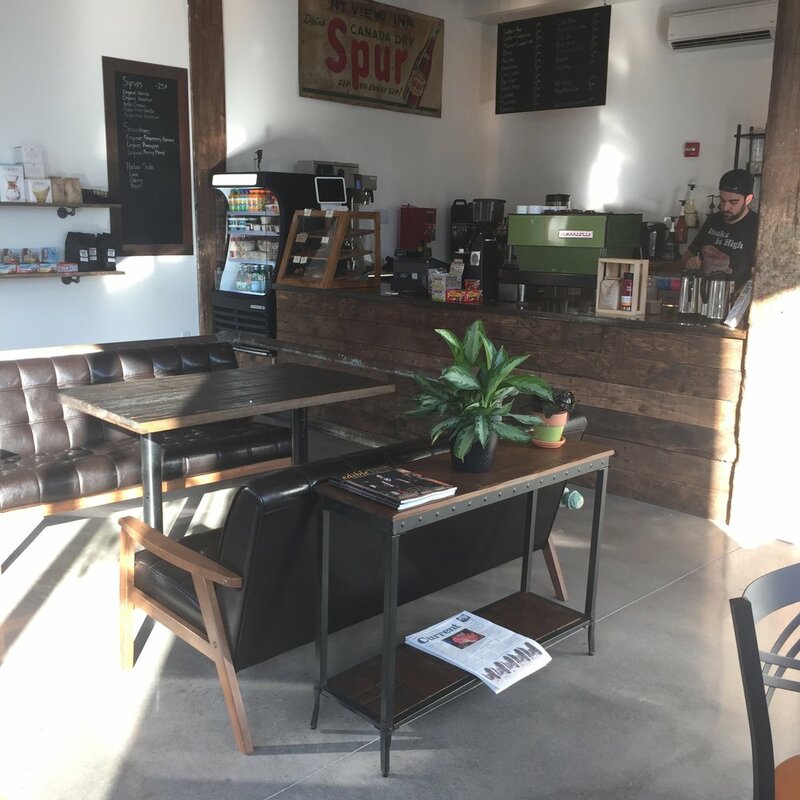 There are all kinds of reasons you'll love hosting your event in A Little Beacon Space, from our location in the heart of Beacon, to the warm light. 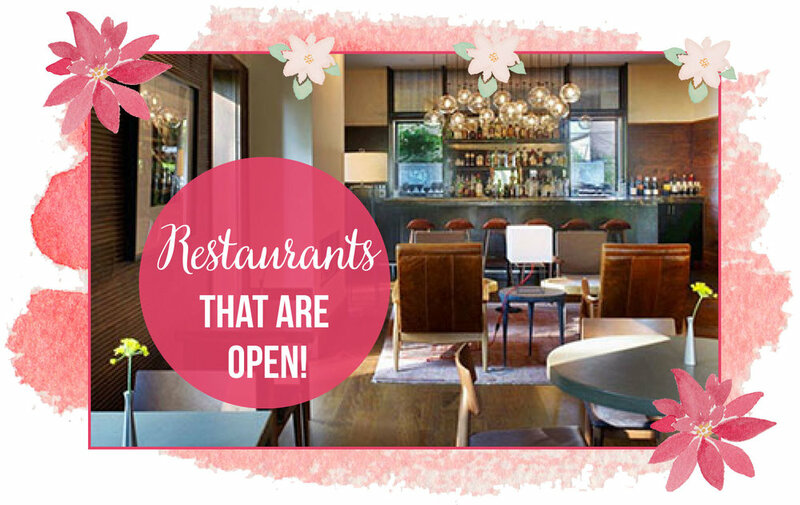 Click here for more details and to book online. 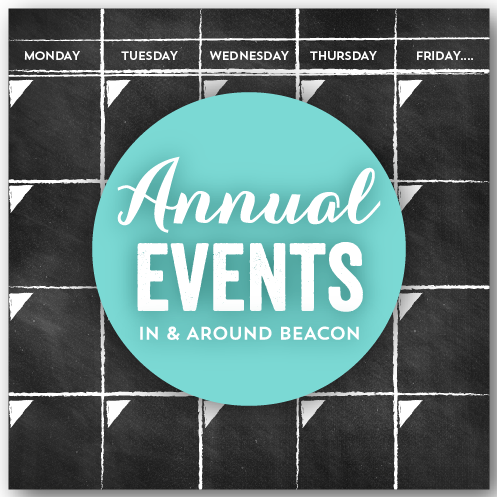 You’re Invited - Don’t Miss These Events! 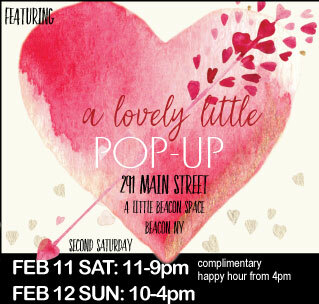 You'll love what you'll find in this Valentine's Day-inspired pop-up next weekend. 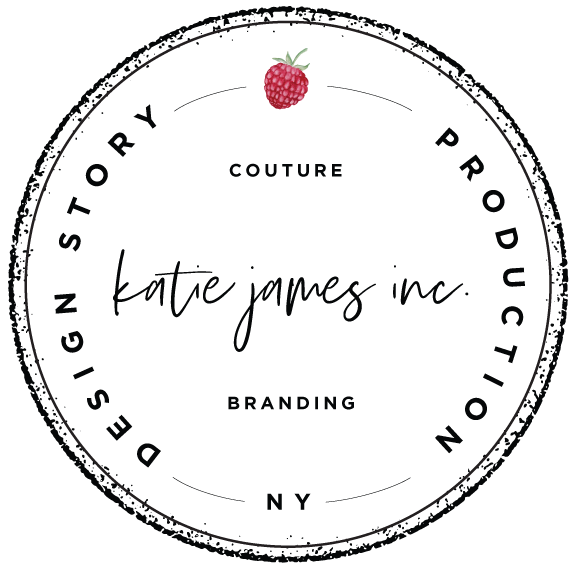 New designs from jewelers Kit Burke-Smith, Margaux Lange Jewelry and Third Muse Metal Arts. Baked delights from Five Hens. Flowers from Viridescent Floral Design. Limited edition scarves from Kate Aubrey Textiles. Pictures shown above are from our Guide advertising partners in the Things To Do In Beacon Guides. 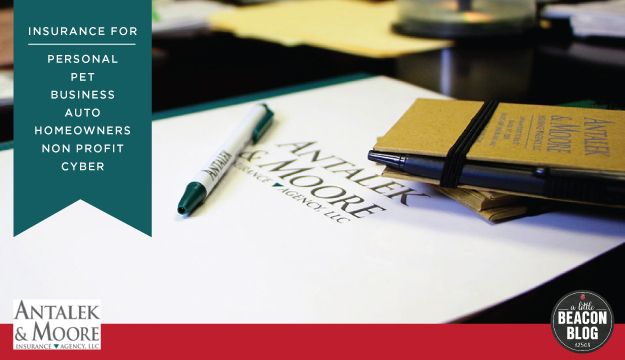 We can include your most exciting news here, too! We asked professional healthy eater Ashley Lederer, MS, RD, CDN, founder of Thoughtful Food Nutrition, what she would serve that might pass as healthy, and actually be a vehicle for getting veggies into your body. "I would say dip - so that you can get some veg in there. Black bean dip or spinach yogurt dip served with crudités is a great way to balance out some of the other heavier dishes that may be available." And what about an even easier finger food? "Popcorn with some fun seasoning, instead of pretzels or crackers," suggests Ashley. "Season the popcorn with chili-lime or nutritional yeast instead of cheese." It's pretty easy to order chicken wings around town, with BAJA and Max's at the ready to send you away with a to-go box. 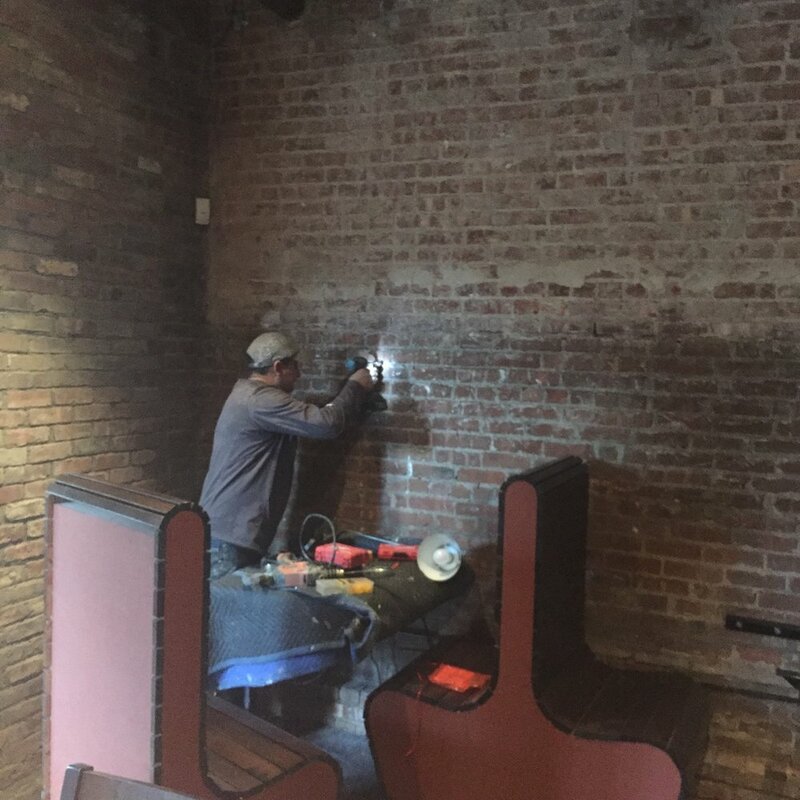 (The Vault used to have wings, might still, but is open for Brunch/Lunch only this Sunday.) Kitchen Sink has a transcendent brisket grilled cheese on house-made challah with melted cheddar and muenster cheeses inside that really, may be one of the best grilled cheeses you ever have. Kitchen Sink did have a special Super Bowl catering menu that involved wings and blue cheese, but orders had to be placed by earlier in the week. Barb's Butchery and Stock Up have hearty meat selections. And oh my goodness, Draught is having free wings with purchase of beer while the game is played on a big screen. To go with those wings, pick up loaded potato skins from Max's. Those are a staple in our house and even ordered without wings, are a meal unto themselves. Inclined to make your own doughy accompaniment? The best buttermilk cornbread recipe I have ever used is here, and involves melting a stick of butter in a deep pan, and then making the batter in that pan on the stove. 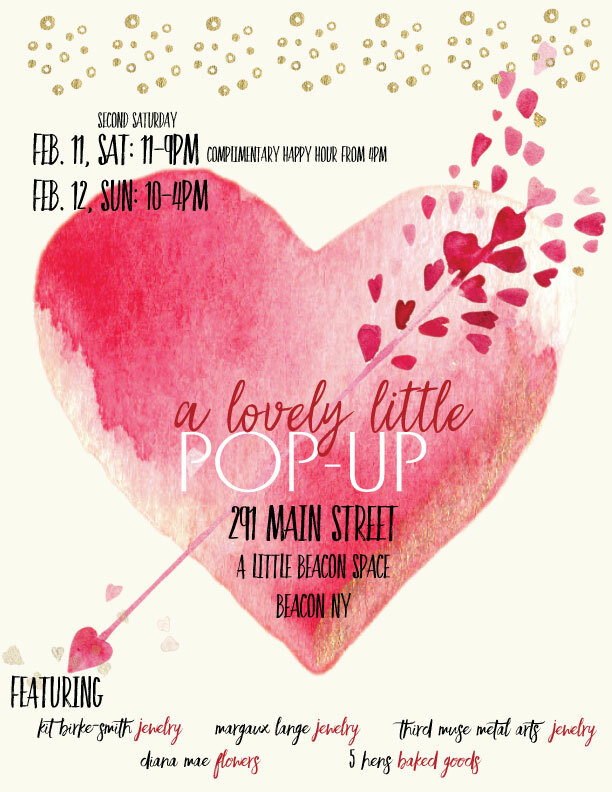 For those who find it a bit difficult to sit through four hours of a game, you could wander on down to a sale at the new fabric and knitting store in town, Beetle and Fred (rhymes with needle and thread), that is happening pre-game. There is a 15% "fat quarters" sale just for Super Bowl Sunday. 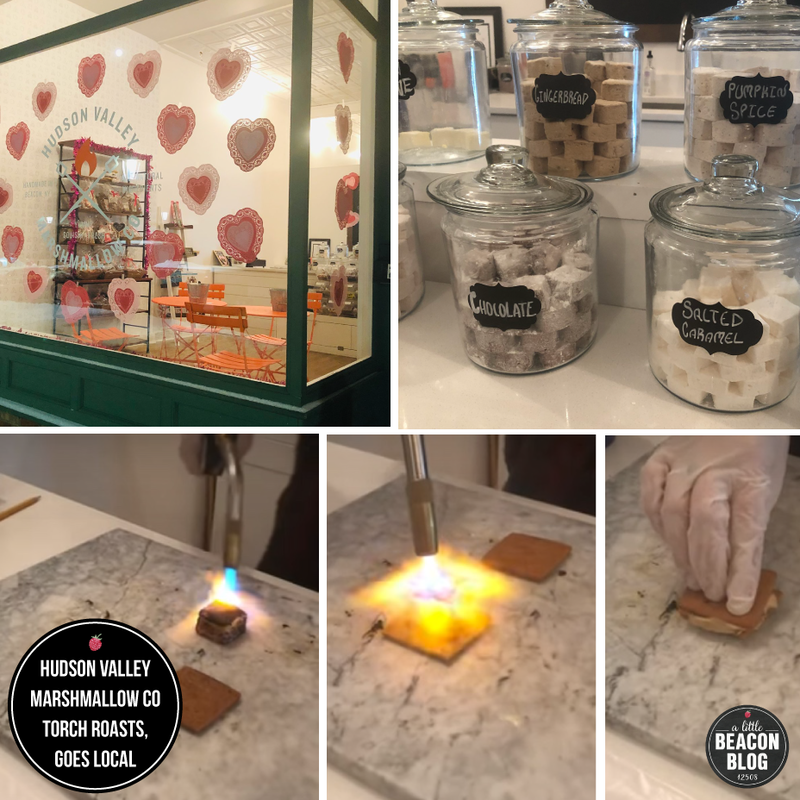 To satisfy the sweet tooth, well, you have a lot of choices here in Beacon, all of which are listed in our Restaurant Guide. But what you may not have noticed was the frozen chocolate mousse pie in the freezer section of Key Foods. It's sort of delicious and involves a chocolate crumb crust. To health it up a bit, serve with fresh strawberries and blueberries. 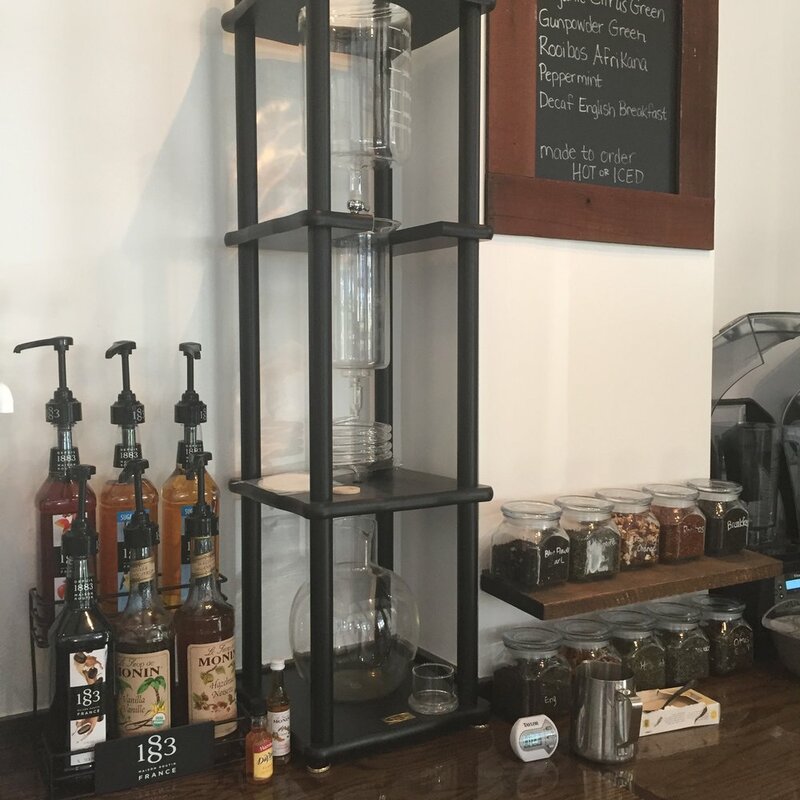 You could get growlers at any of your favorite local spots, like Draught or Two Way Brewing. As of this weekend, you can also get it straight from another local brewery, Hudson Valley Brewery. 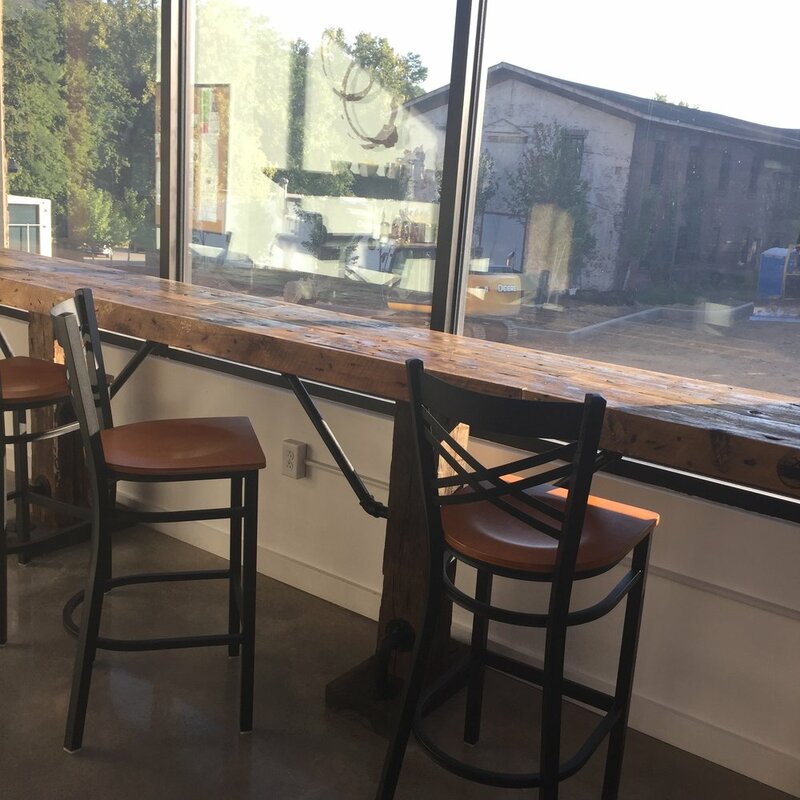 Locals have been able to get this freshly brewed Beacon beer from restaurants around town, and now the tasting room is open during select times, including Sunday. As for good beer in a can or bottle - the gas station on Main Street across from Antalek & Moore and near the post office actually has a impressive selection of IPAs and other craft brews, as does the shop in the Wolcott Plaza near Beacon Dental.